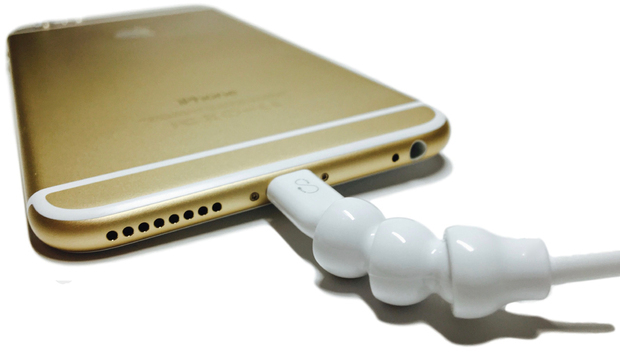 Snakable has a unique solution to the classic cable weak spot: plastic ball-jointed “armor.” The company has put three rotating ball joints at each neck of its Armored Apple MFi Lightning cable for reinforcement and to prevent users from over-bending. At $30, this extra-reinforced cable is expensive but potentially worth it. Snakable also offers a 3-year warranty against defects in materials and workmanship. 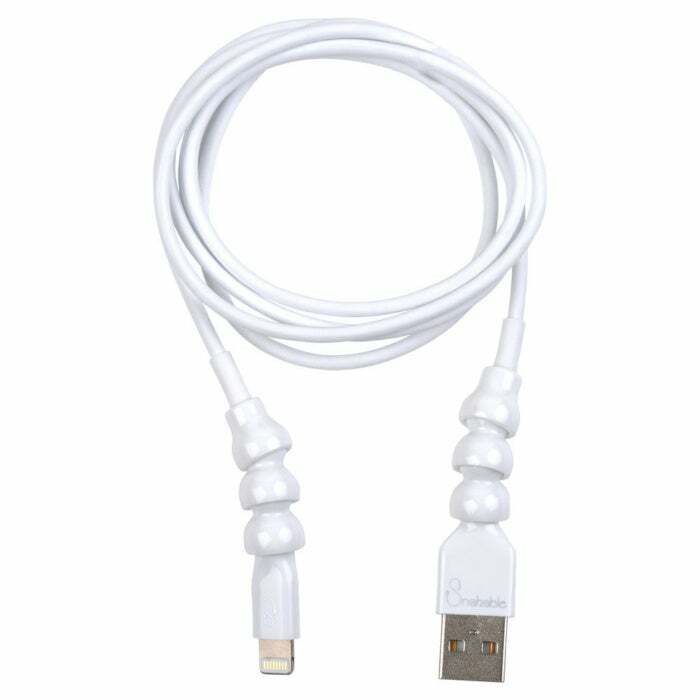 Snakable’s cable is like the Apple cable on steroids: Longer, thicker, stronger, and with ball joints at each end. The Lightning connector, USB plug, and ball-jointed “armor” are all housed in shiny, durable plastic; the Lightning connector’s housing is a little thicker than Apple’s, but I didn’t have any issues using this cable with snug cases. The ball joints on the Snakable cable protect the weak areas by preventing over-bending—you can’t really bend the cable more than about 45 degrees at the neck. This is perfectly convenient (I can’t think of any situations where you’d need to bend the cable at a 90-degree angle; these types of bends usually happen by accident), and it does seem to lengthen the life of the cable. 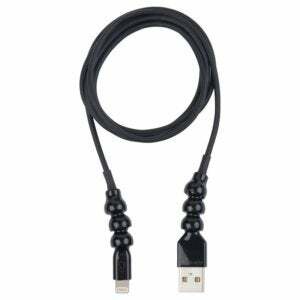 I’ve been using the Snakable cable daily for over a month and a half, and there’s no sign of weakness at the neck. The cable comes in one length (4 feet), five colors (white, black, red, orange, and green), and has a soft-touch matte finish very similar to Apple’s. The cable does have a potential weak spot where the ball joints end (about an inch past the connector). It’s possible that you’re less likely to over-bend the cable that far down, but we’ll have to wait and see how it holds up over time. Snakable’s cable definitely protects against that weak spot, but $30 is a lot for a reinforced but otherwise very basic cable. It might be “extra-long” at four feet, but that’s still not quite long enough to comfortably use it while lying in bed. About three weeks into my testing I started having some minor connection issues—occasionally my iPhone wouldn’t recognize the cable when it was plugged in. But this is the kind of thing that should be easily fixed via the company’s three-year warranty. If you find that the way you use your cables ends up causing they to eventually fray at the connectors, the Snakable Armored Apple MFi Lightning cable is a good cable for you. Though at this price, you can find other cables that offer more durability.